H.H. 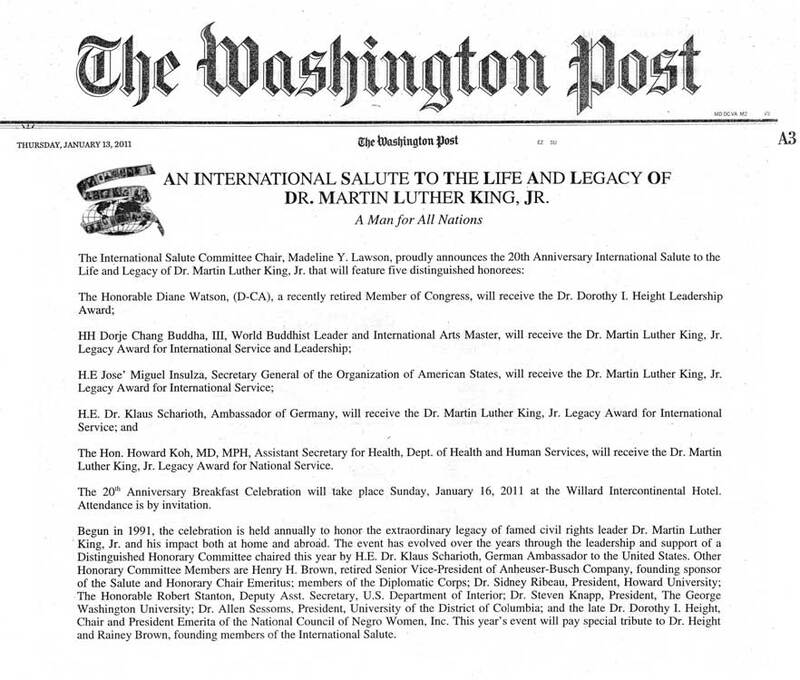 Dorje Chang Buddha III received the Dr. Martin Luther King, Jr. Legacy Award for International Service and Leadership. Every year since 1991 the International Salute to the Life and Legacy of Dr. Martin Luther King, Jr. Committee awards certain exceptional individuals for their contributions to society as a way of celebrating and honoring the legacy of famed civil rights leader Dr. Martin Luther King, Jr. and his impact both at home and abroad. The 20th Anniversary Breakfast Celebration and awards took place on January 16, 2011 in Washington, DC.